The part of the plant most commonly used is the root. It has recently gained recognition for the alleviation of menopausal complaints in women. In rat liver cells exposed to carbon tetrachloride, cynandione A showed significant protective effects in association with the prevention of declines in the antioxidant compounds glutathione, superoxide dismutase, catalase, and glutathione reductase.4 It also decreased lipid peroxidation. The results suggest that cynandione A’s protective effect is due to its radical scavenging properties. In a mouse model of nonalcoholic fatty liver disease induced by a high fat and sugar diet, supplementation with C. Wilfordii extract helped prevent the development of increased liver and spleen weight, liver function impairment, fat accumulation in the liver, and lipid abnormalities.5 These effects were accompanied by the suppression of signaling pathways associated with inflammation. 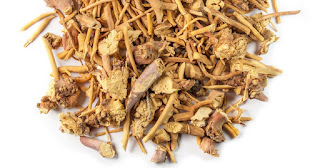 It has been noted that nearly all parts of the Cynanchum wilfordii plant are considered helpful for vascular diseases in traditional Chinese medicine (TCM). In mice genetically modified to develop atherosclerosis that received a high-fat and cholesterol diet, supplementation with an extract of C. wilfordii resulted in a decrease in low-density lipoprotein (LDL) cholesterol, increased high-density lipoprotein (HDL) cholesterol, normalization of diet-induced systolic blood pressure elevation, maintenance of endothelial layers and decreased aortic intima-media thickness (a marker of atherosclerosis).6 It was also shown that C. wilfordii restored the ability of the blood vessels to relax in response to acetylcholine. The authors concluded that C. wilfordii ameliorates endothelial dysfunction in a model of disordered lipids while inhibiting the development of atherosclerosis, suggesting a vascular protective role for the herb. In rats, C. wilfordii extract increased beneficial HDL cholesterol among those given high- cholesterol diets or normal diets. It also decreased the atherogenic index of the high-cholesterol group in comparison with animals that received a high-cholesterol diet without the herb.7 A study of the effects of an extract of C. wilfordii in tumor necrosis factor-alpha-stimulated human aortic smooth muscle cells resulted in inhibition of the expression of vascular cell adhesion molecule-1 (VCAM-1) and intercellular adhesion molecule-1 (ICAM-1), which are involved in the development of atherosclerosis.8 C. wilfordii extract also downregulated NF-kB expression. These effects may be elicited, in part, by cynandione A. Another Cynanchum wilfordii compound, wilfoside K1N, inhibited basic fibroblast growth factor-induced microvessel formation in mice, which indicates a potential anticancer effect.9 In human umbilical vein endothelial cells and calf pulmonary artery endothelial cells, wilfoside K1N significantly reduced proliferation. Moreover, the compound decreased the invasiveness of human fibrosarcoma cancer cells. “Our present study suggests that wilfoside K1N may have a potential to have strong antiangiogenic and anti-invasive activities both in vitro and in vivo,” authors M. S. Kim and colleagues conclude. However, it is in its use for menopausal complaints that Cynanchum wilfordii has come to be recognized in the Western world. In a study involving rats that had their ovaries removed, elevated skin temperature was improved following the administration of C. wilfordii extract for just one week.14 In a randomized, double-blind trial, pre-, peri- and postmenopausal women received 12 weeks of a placebo, or an herbal formula that contained extracts of Cynanchum wilfordii, Phlomis umbrosa and Angelica gigas.15 At the end of the trial, those who were given the herbal formula had significantly lower menopausal symptom scores than the placebo group. Treatment resulted in improvement in vasomotor symptoms, paresthesia, insomnia, nervousness, mood, vertigo, fatigue, and rheumatic pain compared to the placebo. The change in vaginal dryness scores was also significantly greater in the treatment group. 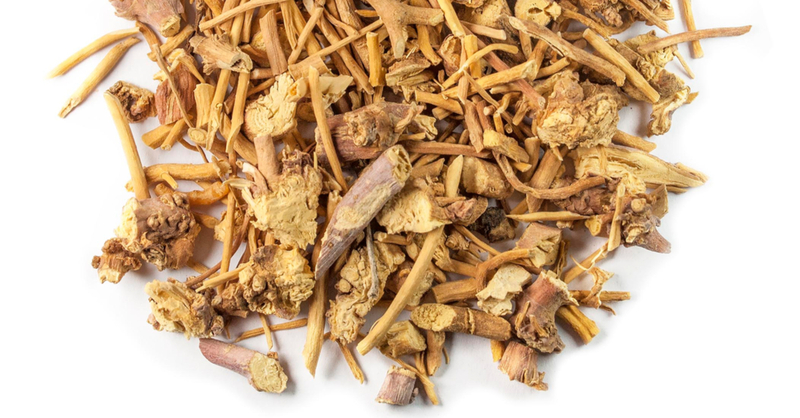 Cynanchum wilfordii, while unfamiliar to many of us, has long been known to patients and practitioners of traditional Chinese and Korean medicine. Promising effects revealed in numerous areas of research suggest that C. wilfordii will soon be better known and utilized by more of us in the Western world. Yang SB et al. Biol Pharm Bull. 2014;37(8):1390-6. Lee MK et al. J Neurosci Res. 2000 Jan 15;59(2):259-64. Kim SH et al. Exp Biol Med (Maywood). 2015 Jul;240(7):946-54. Lee MK et al. J Pharm Pharmacol. 2000 Mar;52(3):341-5. Jang SA et al. Nutr Res. 2016 Sep;36(9):914-924. Choi DH et al. J Med Food. 2012 Feb;15(2):169-79. Lee HS et al. Prev Nutr Food Sci. 2013 Sep;18(3):157-62. Koo HJ et al. Int J Mol Med. 2015 Apr;35(4):915-24. Kim MS et al. Int J Oncol. 2005 Jun;26(6):1533-9. Jiang Y et al. Arch Pharm Res. 2011 Dec;34(12):2021-7. Lee G et al. Nutrients. 2017 Sep 27;9(10). pii: E1070. Jang M et al. Nutrients. 2016 Sep 27;8(10). pii: E600. Cho CW et al. Mediators Inflamm. 2017;2017:3859856. Lee G et al. Prev Nutr Food Sci. 2016 Dec;21(4):373-377. Chang A et al. Phytother Res. 2012 Apr;26(4):510-6. Kim J et al. Prev Nutr Food Sci. 2016 Dec;21(4):310-316. Lee et al. Mol Med Rep. 2018 Mar;17(3):3758-3762.